Anime is a form of animation that originated in Japan. The name comes from an abbreviated form of the Japanese word for animation. Characters are depicted of all races and colors. Many different characteristics are included, including hair color. Let’s take a look at some of the hairstyles worn by anime guys with black hair. Black hair can denote a villain or a hero. Some of the hairstyles are outlandish while others are quite conservative. One thing that seems to be common is that anime guys with black hair typically wear the hair in a medium to long length. There are a few depicted with short hair. It is not uncommon to see characters drawn for anime that have their hair cut to a medium length, even long hair with a fringe that hangs down in the face and partially obscures one eye. This is reminiscent of one of the more popular emo hairstyles. Spikes are another common feature seen on anime guys with black hair. The spikes can point forward or stand straight out from the head, depending on the character’s status as villain or hero. They are drawn pointing forward more often than not. The next most common hairstyle for anime guys with black hair is the simple, “bedhead” look. These characters are drawn in such a way that it looks as if they have never done anything with their hair. It simply lays where it will on the head. If you love brown hair, check out these anime hairstyles with brown hair. Now, all of these hairstyles can be reproduced in the real world. Of course, producing and maintaining them is a bit more complicated than it is for the anime artists. Here, we have to use brushes, combs, gel, pomade, and other products on the hair to achieve the desired look and hold the hair in place. Many girls think that anime guys with black hair are cute. This acts as an incentive for a lot of guys to attempt to reproduce their hairstyles in the real world. Fortunately, one does not have to have black hair to look good with some of these hairstyles. The “bedhead” is possibly the most universally accepted of all hairstyles and is one of the lowest maintenance choices one can make. In a world full of problems, there are people who would literally break major commitments just to watch their favorite anime series no matter what important tasks they have to complete in a day. From Dragon Ball Z to Death Parade, there is a wide range of popular anime series that has people from around the world going gaga over their characters. The reason for this is not just the storyline of the series, but also the crazy animated figures shown in the cartoons that have big muscular physiques and spikey hair. 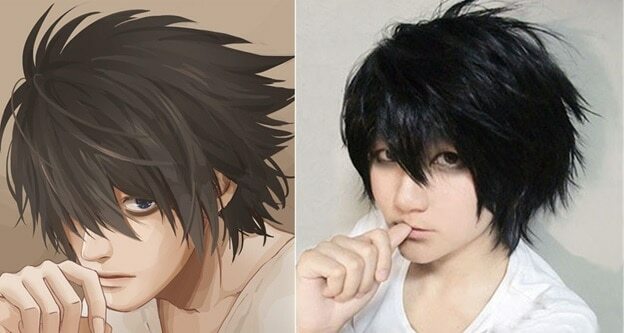 We have handpicked top black-haired anime boy hairstyles that are trendy enough to try for. 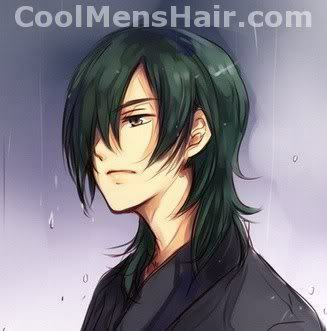 So, for all fans out there that are anime fans and would like to have hairstyles just like their favorite anime character, here is a list of our favorite 12 anime boy hairstyles with black hair. The very first and most popular character on our list is Ash Ketchum from Pokemon. We all have loved him since the time we were in our diapers which is not a lie. Let’s admit to the fact that we all once wanted his long and spiky hair look and would even get a wig to wear if our hair can’t be styled like that. Mr. Satan’s hairstyle is the easiest to copy as it is afro hair. So, for all men out there who naturally have afro hair can go for this hairstyle and look like the human version of Mr. Satan. The most loved character from the anime world is L, the detective from “Death Note”. Not only is he loved for his amazing skills, but also is super spikey and silky hair. A very unique hairstyle with black hair, Sasuke has spiky hair at the back and long sleek fangs pointing downwards. Anyone with long hair can easily style this look. The well-groomed character had people going crazy after him and his style. His anime boy hairstyle is a visual kei cut, having is long hair tucked well behind ears with one large strand falling right on his face which suits his personality just right. Vegeta, the very well-known anime character is popular for his physique and of course, his hair. His hedgehog style has made quite an impression on fans, although it’s impossible to style it in natural hair, wigs can be worn to style hair like his. The very last one on our list, the Iga ninja, Saizou has some shades of blue in his hair with some decent, long spikes framing his face neatly. Rin Okumura is a fan favorite from the anime “Ao no Exorcist,” also known as “Blue Exorcist.” The plucky, hot-headed protagonist is 15 and charming as hell in spite of his impish nature. Turns out he’s also the progeny of the devil, and he’s got a brother who wants to become an exorcist. Kind of amazing that he still has time to rock the perfect bedhead coif. Who doesn’t love L from “Death Note”? Netflix’s recent live-action debacle aside, the original anime character is the true love of shippers all over the globe. He’s the best detective in the world, not in spite of but sometimes because of his many eccentricities. His unruly hair is one of his trademarks. You just want to run your fingers through it, and never mind that he’s animated. Sebastian is the Black Butler—from “Black Butler,” or, more appropriately, “Kuroshitsuji.” His clothes have a Victorian vibe, but his hairstyle is a visual, stylish kei cut that hints at the secrets he keeps. Namely, in addition to being a marvelous manservant, Sebastian is also a demon. Aren’t they always? 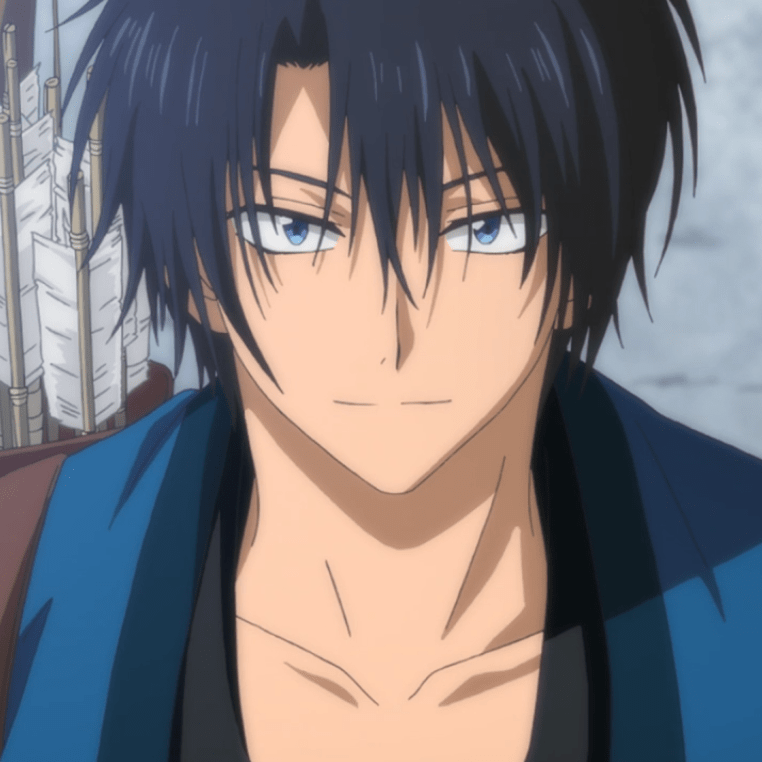 The star of “Akatsuki no Yona,” or “Yona of the Dawn,” Hak Son is an ice prince who serves as the bodyguard of his childhood friend, Princess Yona. He’s in love with her; she’s in love with someone else—it’s a tale as old as time, but Hak Son is still bound to take care of his friend in any way he can. Saizo is from “Brave 10,” a bishounen and Iga Ninja who wields a kunai. He’s well-known as an assassin, and he prefers to live his life as a lone wolf. When you think about it, his hair goes with his nature, wild and blue-black. Spikes and emo hair have been around for a long time in the world. Wax, gel, pomade, and other substances can be applied to the hair to reproduce any of the hairstyles worn anime guys with black hair. These were only a few of the anime characters with black and spiky hair that topped our list of the best anime boy hairstyles with black hair. If you’re an anime fan too, then try out any of these styles and bring out your favorite character into real life and action. Who is the guy from the second pic? Do you know from which anime or artist he’s?